26th April 2018: OnePlus, the global premium smartphone brand, announces the India launch event of the OnePlus 6, to discover 'The Speed You Need' at the Dome at NSCI, Mumbai at 15:00 IST on 17th May 2018. The OnePlus 6 is live for pre-registrations exclusively on amazon.in. Last week, OnePlus announced its collaboration with Disney for the upcoming Avengers: Infinity War, which arrives in theatres on 27th April 2018. As a part of this collaboration, OnePlus has confirmed the OnePlus 6 Marvel Avengers Limited Edition giving users the first-ever glimpse of the special edition smartphone in a recently released video teaser. OnePlus 6 will be available with a 256 GB storage option and will come equipped with up to 8GB of RAM. A manifestation of ‘speed and performance’, the latest flagship will be powered by the latest processor - Qualcomm Snapdragon 845 SoC, giving users a seamless experience. The upcoming OnePlus flagship will have a glass back containing five printed layers of Nanotech Coating, a first in the smartphone industry. The company has also confirmed that OnePlus 6 will retain the 3.5mm headphone jack. Speaking on the upcoming launch of the OnePlus 6, Vikas Agarwal, General Manager, OnePlus India, said, “2017 has been a landmark year for OnePlus’ journey in India and we are thankful to our loving community for their continued support. We look forward to giving people the best possible smartphone experience with OnePlus 6, a beautiful balance of power and design." 2017 was the most successful year for OnePlus, with the launches of the highly acclaimed OnePlus 5 and OnePlus 5T. The OnePlus 5T became the highest selling premium smartphone allowing OnePlus to gain over 48% share in the premium Android smartphone market, according to the Q4 2017 IDC Report. Additionally, the company doubled its revenue year-on-year to over $1.4 billion in 2017 with India as its biggest market with over one-third share. This year, OnePlus will be available offline more widely, to complement its online presence on Amazon.in and oneplus.in. 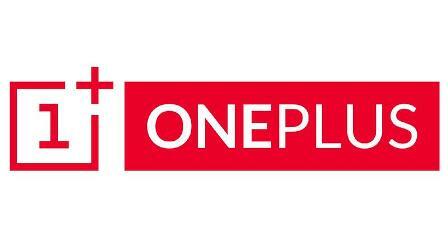 The company will expand its offline footprint in key cities this year in three formats: more exclusive OnePlus experience stores, authorised brand stores and increasing its presence to over 100 Croma stores across the country.